This category is devoted to the impressionist art quilts by Marién Grace. The art quilts featured here are inspired by nature and landscape, using a technique known to quilters as “Impressionist” or “Watercolor” quilts. 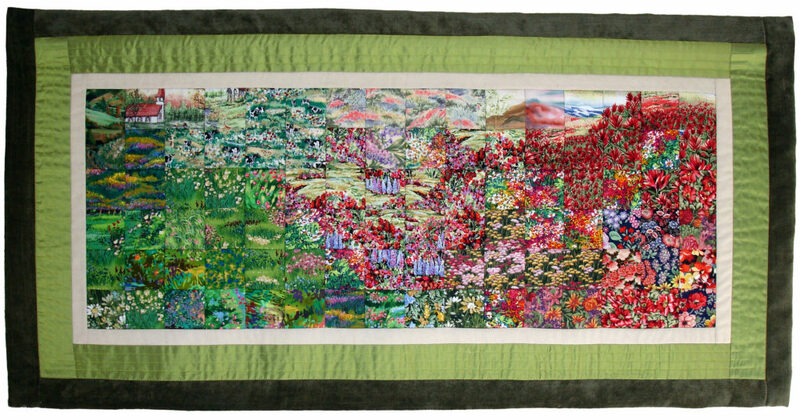 Impressionist quilts are quilted artworks using fabric pieces in a collage manner to create a flow of scene or color. Marién’s quilts are landscapes evocative of shifting seasons, time and space. To learn more about this technique, read about the art. Come into the gallery! You can contact Marién if you have questions or wish to purchase or commission a quilt.